Four Baton Rouge journalists will discuss the role of investigative reporter in Louisiana’s capital city at the Chamber of Commerce of East Baton Rouge Parish meeting. The meeting will be held at 12 noon Tuesday, July 25 at Café Américain, 7521 Jefferson Hwy. Top journalists Chris Nakamoto of WBRZ-TV, Andrea Gallo of The Advocate, and Stephanie Riegel of The Business Report will speak and answer questions. Woody Jenkins of the Capital City News will serve as moderator. Participants will discuss what is investigative reporting, how to report effectively, and the ethics of investigative reporting. Admittance will be by reservation only. Lunch is $19 a person payable at the door. Make reservations by emailing woodyjenkins2016@gmail.com. 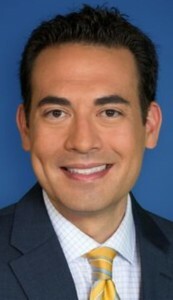 • Chris Nakamoto of WBRZ-TV provides award-winning investigative reporting that changes laws and changes lives. He earned the prestigious Edward R. Murrow Award this year and an EMMY award last year. • Andrea Gallo covers City Hall for The Advocate. She has written stories showing that the Mayor-President’s top hire lied on his resume and that a lack of emergency room care in the northern part of Baton Rouge was leading to longer ambulance transport times.